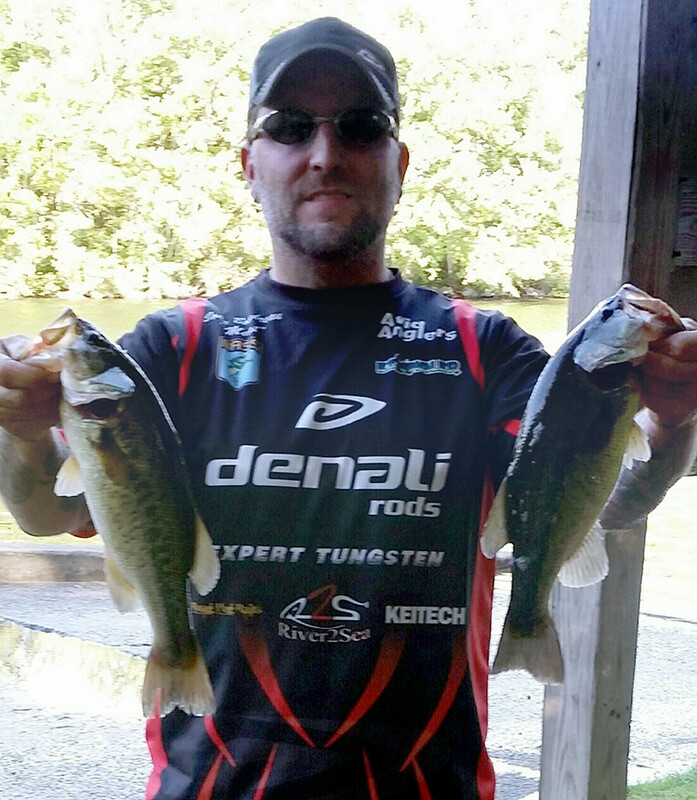 Eleven anglers showed up at Singletary Lake for Avid’s third visit to this body of water, its first since 2013. 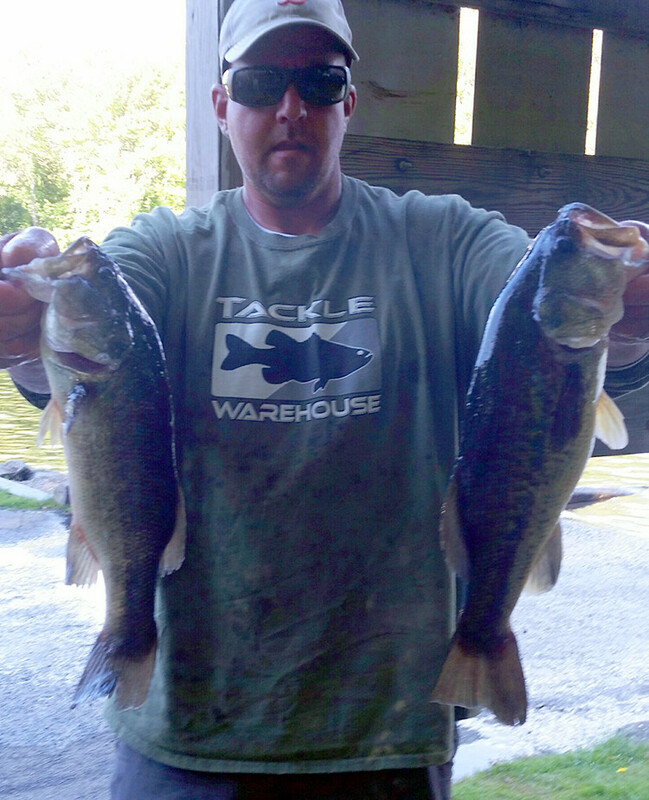 The previous two trips were a grind, with few guys finding good bags and even fewer finding big fish. This event proved to be no different. The average weight per fish was just 1.4 lbs. and four limits were caught. On the plus side, everyone caught fish for the second consecutive tournament. Even though the lunker was a decent size it wasn’t a huge fish at 3.44 lbs. What made it unusual was that it was a smallmouth—a very impressive fish for this lake. To top it off, the weather was pretty nice too. The day started calm and clear, with water temps about 70 degrees, and the air temp about 50 degrees. It ended with a moderate south-southwest wind about 10-12 mph and air temps in the mid 70s. One thing that was noticeably different from our previous trips here was the lack of milfoil throughout the lake. Once prolific, there was little to be found outside of the outlet cove. The only grass present were a few areas along the shoreline with a tall, stringy type of grass in which pickerel seemed to thrive. During our last tournament the winning fish were caught deep, but that didn’t hold true this year as most guys ended up fishing shallow for the bites they got. 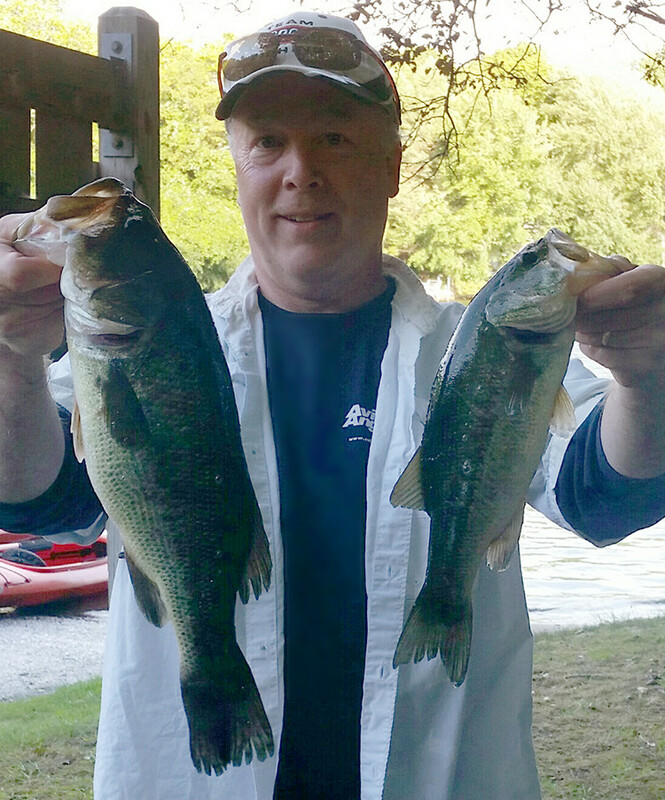 Another difference is that several more smallmouth were caught last year. 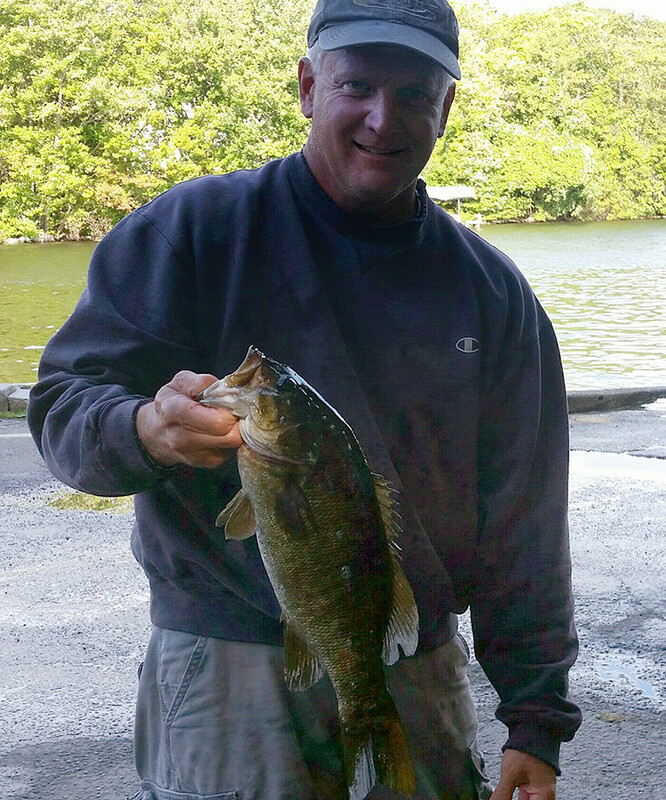 Of the top three, third place went to John Shpack, with a 4-fish bag weighing 7.11 pounds, anchored by that nice 3.44 lunker smallmouth. Second place belonged to Steve LeDonne who weighed a limit of 7.70 pounds. No stranger to the leaderboard, Fred Naymie came out on top with a limit that weighed 8.23 pounds. Fred has won seven of the club’s last thirteen events! With the win, Fred also seta new club record for most wins with thirteen, besting Eric Femiak’s 12 which was set in 2010. Next up is our first unofficial ‘Mystery Lake’ tournament on Sept. 24. Average weight per fish: 1.41 lbs.